OUR GOAL IS TO RAISE $8,000 AND WE NEED YOUR SUPPORT! Educating through a documentary film based curriculum, REACT to FILM (RTF) engages students in critical social issues, inspires them to develop an informed voice, and empowers them to enact positive social change. 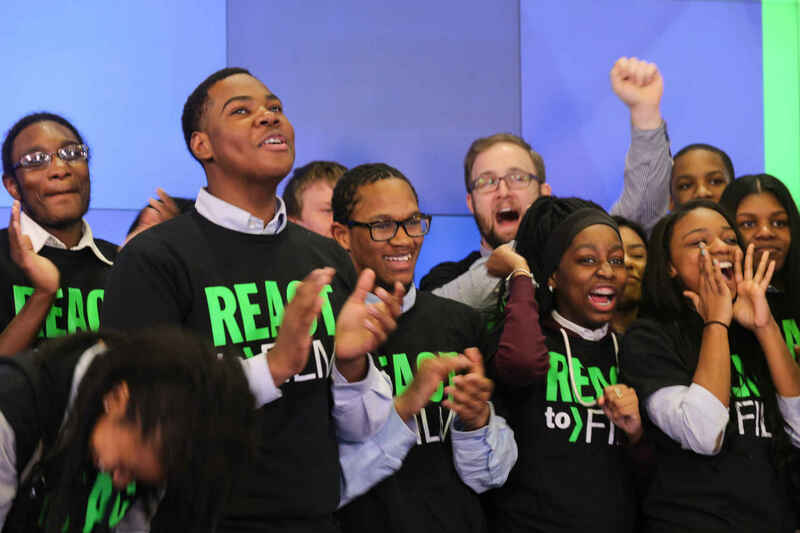 RTF is present in 9 public schools and works with over 300 students in New York City. Primarily serving Title 1 schools, RTF gives precedence to those schools serving socio-economically disadvantaged and minority students. By leveraging award-winning issue-based documentary films to promote social responsibility and spark civic engagement, RTF provides educators with an innovative teaching tool. RTF's comprehensive curriculum exposes students to critical social issues, such as nutrition, gun violence, and gender inequality, and helps them explore these issues in a supportive learning environment. RTF empowers students and helps them realize, as informed and engaged citizens, they are capable of creating positive social change. enroll and graduate from college on time (Dávila & Mora, 2007; Northup & Brown, 2010; Brownell & Swaner, 2010). RTF's vision is to help ALL students discover and develop their voice and become the social change makers of tomorrow. THANK YOU for making this vision a reality! THANK YOU FOR SUPPORTING STUDENT ACHIEVEMENT!